Loving what you do and being in flow is a key ingredient for happiness, success and fulfilment, and vocational wellness is one of the fundamental ingredients to an overall sense of wellbeing and happiness. Yet for many of us, it can at times, be really difficult to understand what makes us tick at our best. Where are we most in flow? Why do we do what we do? What is our underlying talent? And how do we ensure that we are creating and living the life and work we love? Last year I discovered 'Wealth Dynamics', which is a psychometric personality test that identifies your natural talent and tells you exactly which path is correct for you, and what strategy you should follow to build wealth. The clarity I received was just what I needed to understand where I best serve my business and which other profile types can best support me to grow the business in a sustainable and balanced way. Wealth Dynamics is a holistic approach that encompasses the wisdom of the I Ching, Chinese Five Elements and classic psychometric testing. A business approach that weaves in all of these elements spoke to me as I highly value 'self enquiry', 'knowing thyself' and 'creating a business and life I love'. Upon completing the profile test I was then guided to Genius U, which expanded upon what path I should follow in life. When you follow your natural genius, life becomes a joy. But if you focus on your weaknesses, everything becomes hard work. Again this highly resonated for me. A comprehensive series of Microdegree's are attached to Genius U, which lay out the foundational steps for progressing up the Lighthouse, which is another tool that identifies your wealth spectrum level and then explains how to take yourself to the next level. The underlying philosophy is based on the levels of consciousness and chakras. As we expand in our awareness and take action steps to move to next level our business cannot help but grow. Roger James Hamilton is a NY Times Best-Selling Author. Futurist and Social Entrepreneur. He is the Founder of Entrepreneurs Institute and the creator of GeniusU, Wealth Dynamics & Talent Dynamics. Roger presents seminars on these principles around the globe and last year I attended his Fast Forward Summit in Melbourne. As a result of this inspirational event I booked myself into iLAB, a two week retreat in Bali. 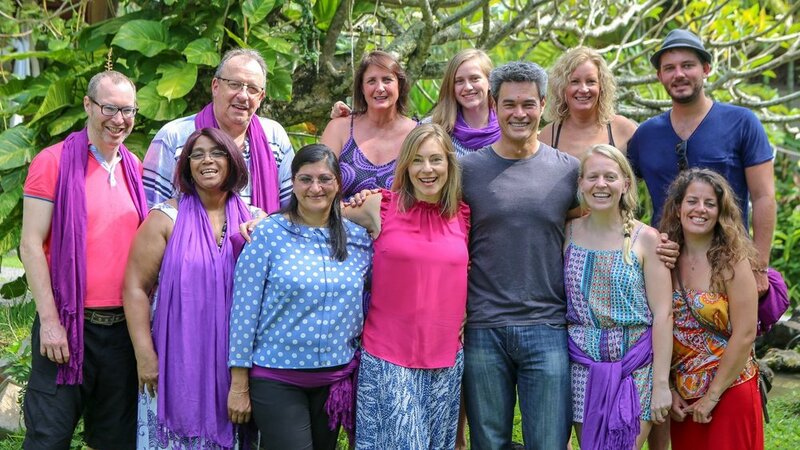 Joining a group of wonderful business owners from all around the world, we were guided through an educational journey that included personal growth, business learnings, clarities and experiential workshops with various experts. Set in amongst a beautiful tropical resort serving delicious wellness food and with a morning schedule of exercise I absolutely loved that I was able to merge wellness and business in this two week experience. Posted on April 1, 2018 by Sonja Sorich and tagged ilab bali roger james hamilton wealth dynamics genius u impact meter vision villas millionaire master plan.